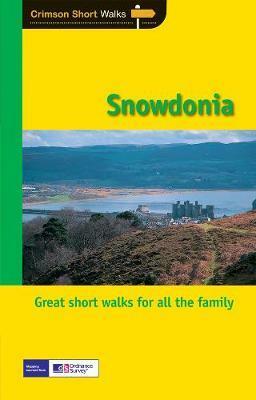 Short Walks Snowdonia covering parts of Abergynolwyn, Conwy and Snowdon. This selection offers interest and regional variety in Snowdonia, providing the best short walks in the area. Covering walks through the whole of the Snowdonia, both popular and little know scenic routes including the Eastern Moors and the River Lathkill. - See walk locations by Looking Inside Inside: -20 circular walks up to 5 miles - Clear, large scale Ordnance Survey route maps - GPS reference for all Snowdonia waypoints - Where to park, good pubs and places of interest en route - All routes have been fully researched and written by expert outdoor writers - Beautiful photography of scenes from the walks Ideal for families, or for those who prefer shorter distances, Short Walks guides contain 20 walks graded by distance, duration and difficulty. Each route includes points of interest as well as fun observation questions for children.